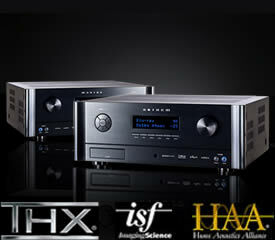 Kaleidescape, Inc., the market leader in movie servers, have announced its new M500 and M300 Players. Built on the company's proprietary M-Class architecture, this next generation of players delivers a new and improved onscreen user interface and Blu-ray support. The M500 Player copies Blu-ray Discs, DVDs, and CDs onto a server. The imported content can then be played back instantly by M500 and M300 Players, creating the world's first multi-zone movie server for Blu-ray. Kaleidescape requires the disc to be present when playing Blu-ray content because that's one of the ways we can fully comply with the copy control agreements we have signed. Today this means the Blu-ray Disc must be in the tray of an M500 Player. To enable the full Kaleidescape experience for Blu-ray, the company is developing a disc loader which will keep a large number of discs present within the Kaleidescape system. It will also provide bulk import, and make it easy to find and retrieve a disc. "We have invested a great amount of time and resources in developing the M-Class architecture, which is our platform for future innovation," said Michael Malcolm, Kaleidescape's founder, chairman and CEO. "We now have the tools to improve our world-renowned user experience and offer an even greater variety of content." Further enhancing the Kaleidescape experience, the company's award-winning onscreen user interface has been substantially improved with M-Class players. The Kaleidescape Movie Guide, the largest and most comprehensive of its type with over 135,000 titles, has been expanded to include over 3,300 Blu-ray Disc titles. Your treasured collection of movies and music is presented in high definition, with eye-popping detail and improved performance. The company's patent pending video bookmarks enable advanced features, including instantaneous start of a feature or concert, easy access to favorite scenes or songs, and control triggers to automatically adjust screen masking, lighting and curtains during playback. The Kaleidescape M500 and M300 Players, when coupled with a Kaleidescape server, play back Blu-ray content and include support for 1080p video with 24 frames per second and bitstream pass-through of Dolby TrueHD and DTS-HD Master Audio. 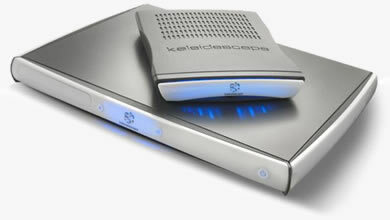 Both players are compatible with existing Kaleidescape products. The disc loader is expected to be available in the first half of 2012.